When visiting Northern Thailand you get the impression that you are in another world as this region seems to have a unique charismatic flavour all of its own. For an adventurous outdoor experience head to the town of Chiang Mai which is located 700 kilometres (440 miles) north of Bangkok. A trip to the lively Night Bazaar for handicrafts is an absolute must as are the many temples that abound. You should also be able to witness some of the superb local craft of umbrella making in the region. The Nan province of Thailand is an exemplary example of how natural tranquillity intertwines with spiritual landmarks of a bygone era. Once a mighty kingdom, Nan and its ever-present Nan River will leave you in awe after admiring this hidden gem in Northern Thailand. To find out more about this 3-Day tour, please see details above. 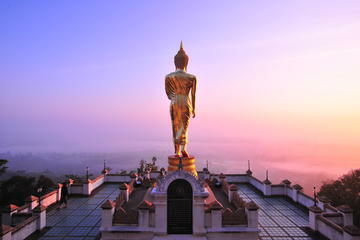 Should you decide to travel a further 180 kilometres (110 miles) to the extreme north, you could easily explore the sheer beauty of Chiang Rai as well as the legendary Golden Triangle, an area of uncertain frontiers, steeped with suggestions of illicit smuggling. Nevertheless, it is here that you can explore the natural beauty of the lush forested mountains as you trek through this region. 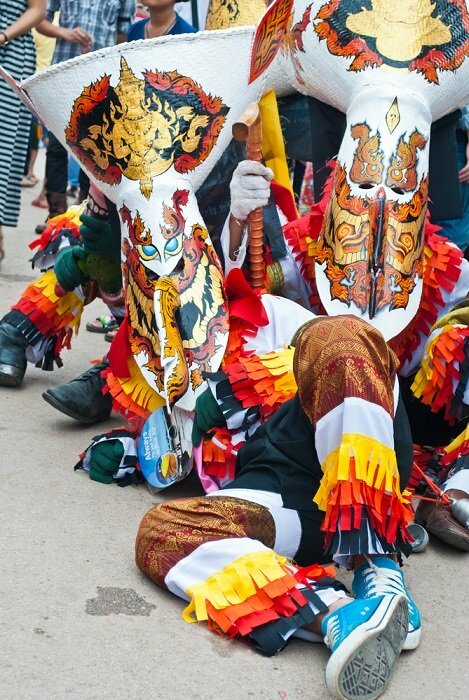 You could take a ride on an elephant, visit ancient archaeological sites or join the many colourful celebrations that take place all year round in northern Thailand. 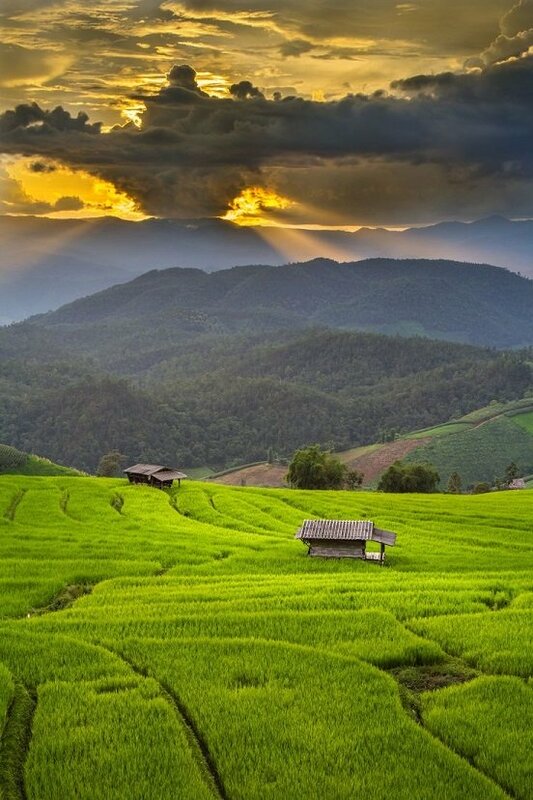 Another enchanting excursion opportunity in the north of Thailand is to explore Mae Hong Son This misty mountain retreat is situated north-west of Chiang Mai and very close to the Burmese border. The whole area is surrounded by lush forested jungle. Though this sleepy little town is way off the beaten track, it's becoming more popular as tourism facilities are surprisingly well developed here. The Hill Tribe People of these regions have their own language, customs, dress and spiritual beliefs which can be seen in the various crafts that they produce. An estimated 500,000 tribespeople from several groups, including the Karen, Meo, Lahu, Lisu, Lawa, Yao, Akha, and Thaton live in the jungle covered mountain slopes in these northern territories of Thailand. 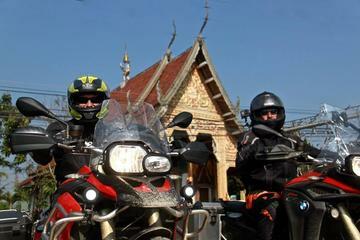 This 13-Day BMW Motorcycle tour will provide you with an outstanding opportunity to obtain a thorough impression of a large part of Northern Thailand. Between Mae Hong Son and Mae Taeng, there are 1,864 bends which will give you a great opportunity to improve your cornering skills whatever your level of expertise. You'll get to explore some of the lesser-known treasures of northern Thailand as well as some famous cultural sites such as Thailand's first capital city, Sukhothai - a UNESCO World Heritage Site. Among the highlights of the trip, you'll be visiting the highest mountain in Thailand - Doi Inthanon. You'll also visit the Long Neck Women of the Kayan Tribe. You'll explore the Golden Triangle and the remote and mountainous province of Nan. At Mae Sot, you'll cross over by foot into Myanmar and visit the town of Myawaddy, one of the key cross-border trading centres. If you're a motorcycle enthusiast, you're going to love this one. Find our more details about this tour above. 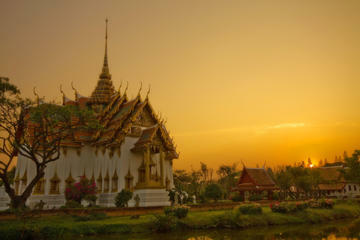 Come and discover the cultural delights of Northern Thailand on this 6-day coach tour from Bangkok to Chiang Mai. With this all-inclusive tour, you'll be accompanied by an expert guide. You’ll get to see the ruins of Ayutthaya and Sukhothai. You'll visit hill tribe villages near Chiang Rai and watch both elephants and artisans at work in Chiang Mai. Since I've been to all of these locations, I highly recommend a tour such as this one below. You are going to love every bit of it. You'll also be going to the Thailand-Myanmar (Burma) border for an opportunity to walk across the bridge (depending on border conditions). You'll get to enjoy views of the Golden Triangle with an optional boat ride on the Mekong River. Not only that but you'll also get the chance to dine on traditional Thai delicacies in local restaurants on a daily basis. All the details are described in the link above. 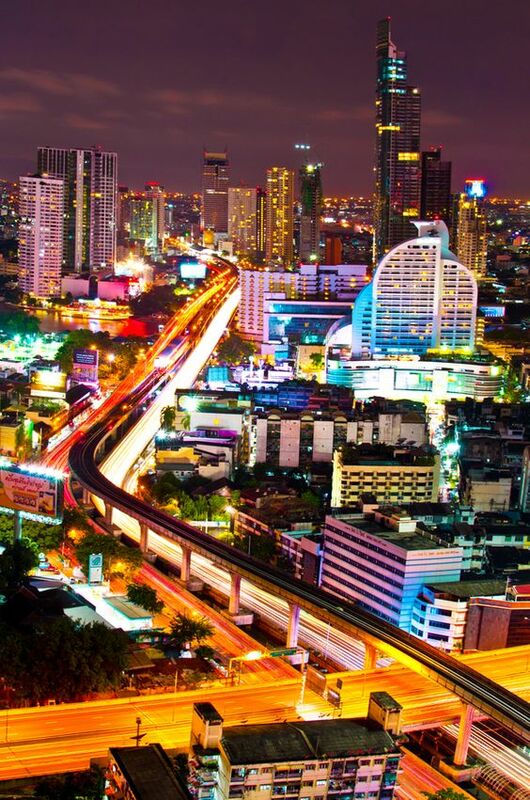 If you should book this tour from my site (at no extra cost to you) you'd not only be giving me a little extra pocket money, but you'd also be helping me maintain this blog so that I can continue giving you more Thailand travel information. Wishing you all a pleasant journey.